After having traveled to India as a student, Catherine was deeply moved by its people and culture, and now, through her work with The Leadership Foundation of India, is fulfilling a lifelong promise to give back and help others. A native of Edmonton, Alberta, Catherine graduated from École J. H. Picard and attended the University of Alberta. She worked extensively in the fashion industry and held senior roles with Club Monaco and Marci Lipman Designs in Toronto and Montreal throughout her career. Catherine serves on the Board of Trustees at Severn School and is a member of the Strategic Planning Committee at the Severna Park Community Center. In her spare time, Catherine practices classical pilates, sings in a choir and enjoys keeping up with her four children. 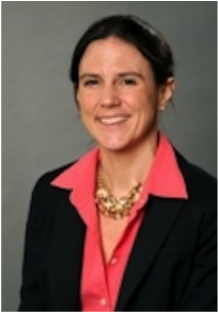 Jenna has more than a decade of leadership experience in the non-profit and public sector. At the Louisiana Department of Education, she heads up an interagency effort to create a unified statewide early childhood care and education system to ensure all Louisiana children enter kindergarten ready to succeed. Previously, Jenna directed strategic planning for the nation's largest public housing authority and worked for six years in social services for families and children in New York City, including a leadership role in the September 11th response effort. Jenna holds a BA from Yale University and an MBA from the Stanford University Graduate School of Business. With over 10 years of experience practicing international law, and international human rights law, Kiran has worked with underserved populations around the world and has witnessed the injustice and inequities that plague resource-poor settings. She envisions a solution where all individuals have access to basic human rights—including the fundamental right to a high-quality education—and aims to make this a reality through The Leadership Foundation of India. Kiran previously served as The Leadership Foundation of India's first CEO. Prior to her role as CEO, Kiran worked at a major international law firm where she represented foreign sovereigns before U.S. Courts. In addition to her international litigation practice, Kiran has assisted numerous political asylum seekers secure legal status in the United States. She holds a BA in History from Yale University and a JD from Georgetown University Law Center. Tanya’s career spans 15+ years in mobile commerce and communities, enterprise software, entertainment, and education. She most recently helped found and served as head of product and partnerships for Markkit, a mobile commerce platform that uses social games to drive conversion. She ran marketing and business development at Gigwalk, a mobile crowdsourcing platform. She also built the marketing function at Yammer (acquired by MSFT for $1.2 Bn), as senior marketing manager and head of customer programs. Tanya has also worked in media and entertainment for the Thinkwell Group and Twentieth Century Fox. She began her career as a Yale-China Teaching Fellow at the Chinese University of Hong Kong. Tanya holds a BA from Yale University and an MBA from the University of Chicago Booth School of Business. 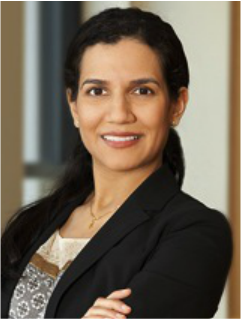 Deepa is a Partner in Deloitte Consulting LLP’s Telecommunications, Media and Technology practice where she focuses on mergers & acquisitions and business transformation, advising both domestic carriers and international wireless providers. As the national leader of Deloitte’s Asian Business Resource Group (ABRG), Deepa oversees strategies that align to Deloitte’s overall diversity goals. 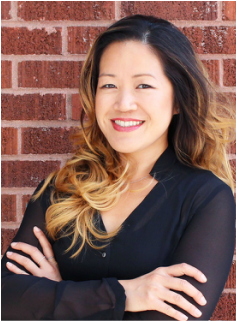 She has also developed thoughtware to address how to manage, motivate, and retain the growing number of Asians in Corporate America. Deepa has been widely recognized for her accomplishments and was the recipient of Consulting Magazine's 2011 Women Leaders in Consulting Award. Deepa holds a BA in Economics and Philosophy from Wellesley College, an MA in Development Studies from the London School of Economics, and an MA in Public Policy with a concentration in Negotiation Studies and Conflict Resolution from Harvard University. Roopa is the Managing Director and Head of Research at Everstone Capital, a private equity and real estate investment firm. In her role, she covers macro and thematic issues on demographics, income and consumption patterns. 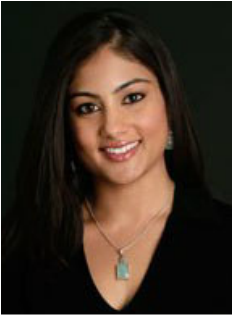 Previously, Roopa was a vice president and global economist at Goldman Sachs where she co-authored the report: "Dreaming with BRICs: The Path to 2050," along with other published papers on topics such as long-term growth in India, global trade, migration, women's employment and global aging and consumption patterns. Roopa holds a BA in Ethics, Politics and Economics and International Studies from Yale University and an MSc in Development Studies from the London School of Economics. She is a member of the Aspen Institute’s India Leadership Initiative and is a World Economic Forum Young Global Leader.